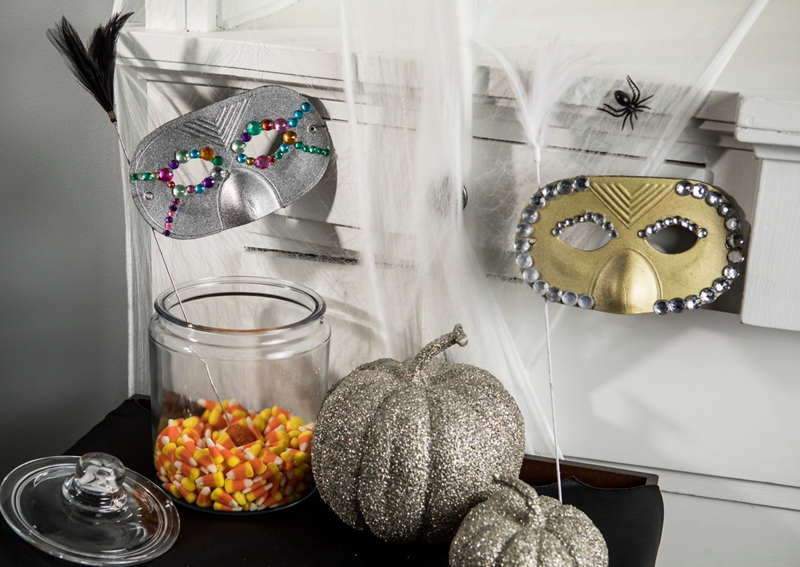 Dress up with shimmery masquerade masks made with Krylon®! In a well-ventilated area, lay the masks on a flat, covered surface. Spray paint one mask with Krylon Shimmer Metallic in Gold Shimmer and one mask with Krylon Shimmer Metallic in Silver Shimmer. Please note, although Krylon Shimmer Metallic is craft foam safe, the use of Krylon Craft Foam Primer is optional to achieve a smoother surface and a truer topcoat color. If using Krylon Craft Foam Primer, allow the primer to cure for 48 hours before topcoating. Once the masks are fully dried, use a hot glue gun to apply sequins and feathers as desired.